Under, over, above, home run. The ultimate San Francisco landmark is the Golden Gate Bridge. Until now I had managed to buy a rubber stamp replica of it but not actually go anywhere near it. Then, all of a sudden, we got to see it from every angle possible. 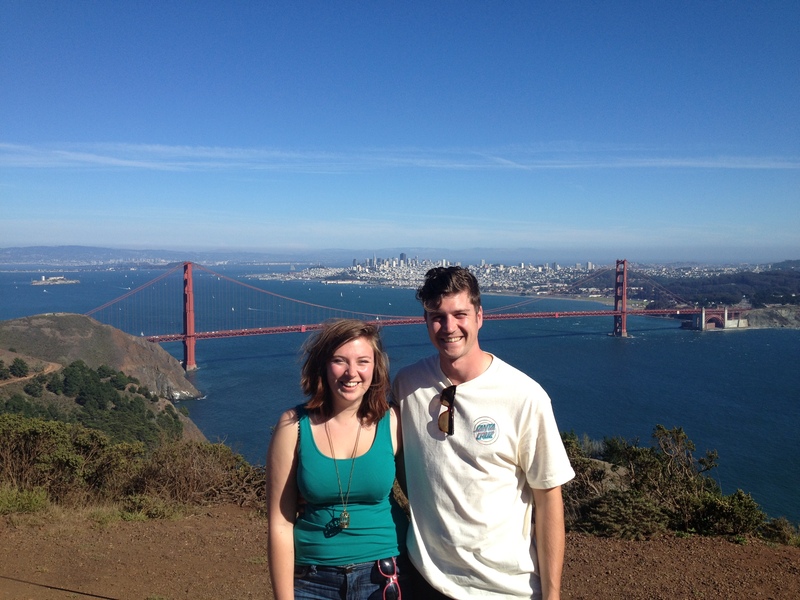 Driving to the harbour of Sausalito meant taking our first trip over the Golden Gate. We were lucky to have a really clear day and, although we were literally on top of it, it was still a bit surreal to be surrounded by this icon you’ve seen so many times on screen and in print. Driving over the Golden Gate Bridge. Check. 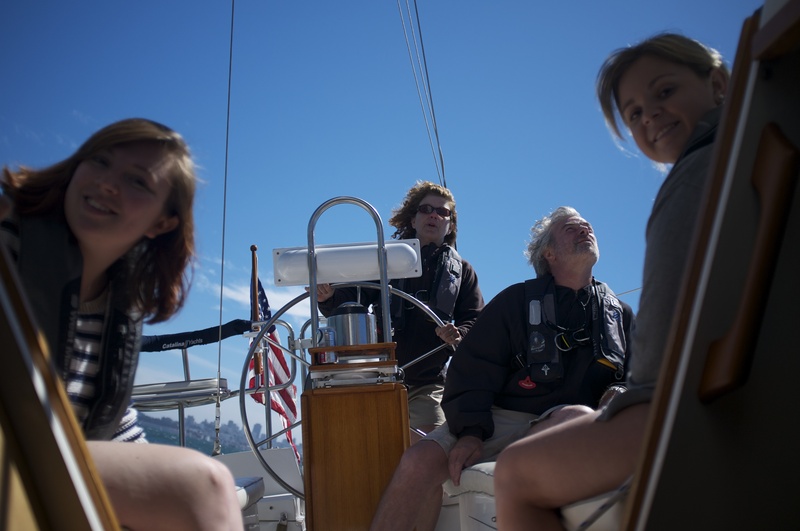 The reason we were heading to Sausalito was to don our captain hats and head out on the family sailing boat. 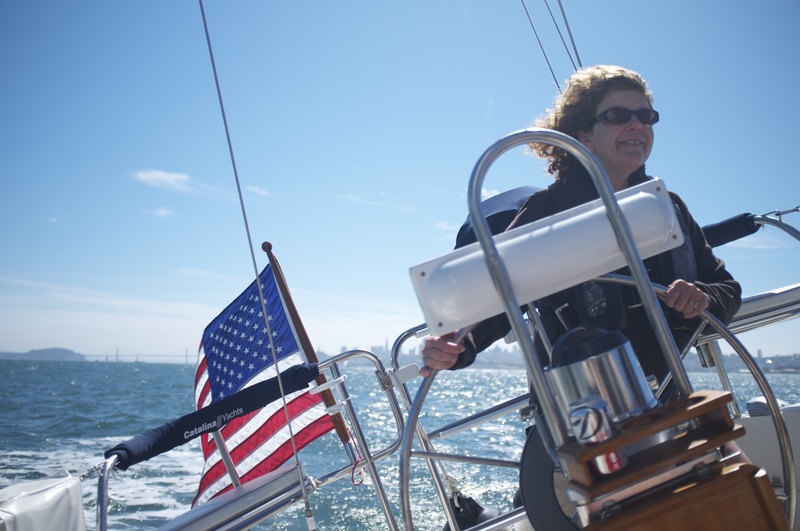 I’ve travelled in planes, trains and automobiles (and ferries) but the sailing boat was a first for me. I was ready to feel a bit queasy and nervous but I found it totally relaxing. Everything was more exaggerated than I was expecting but we always came back upright. The sun kept shining, a bit too much my lobster legs told me later, and we head to the Golden Gate Bridge again. This time we went under. 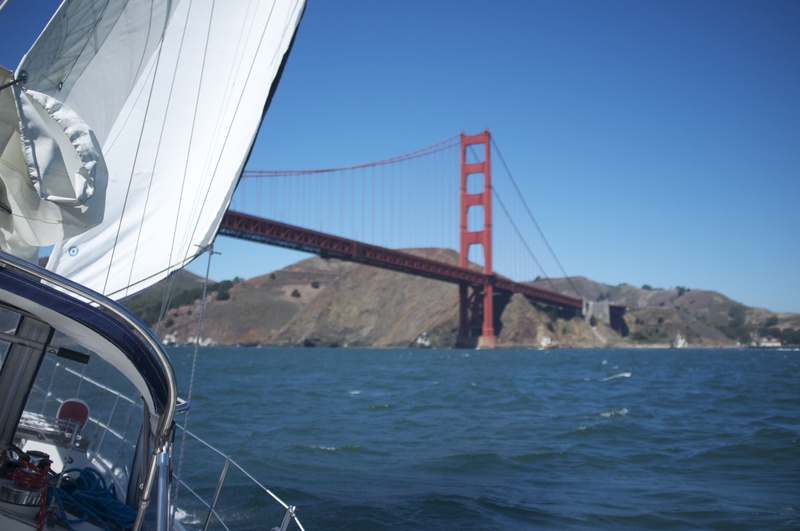 Sailing under the Golden Gate Bridge. Check. One more sail and we’re back on land. A good thing too because Mark had gone a strange grey colour. The next viewpoint on the list was Marin Headlands. An amazing drive up the hill and some spectacular sights over the Bay and the City, and, of course, the Golden Gate Bridge. Walking above the Golden Gate Bridge. Check. After all the necessary tourist shots we were back in Sausalito for the night. It’s a cool town with a laid-back vibe, something that can be said for most towns in California, and there was a bar that almost felt like a pub back home. Almost. From the peaceful, chilled out yacht club, via the beautiful Muir Woods, we tried something completely different. 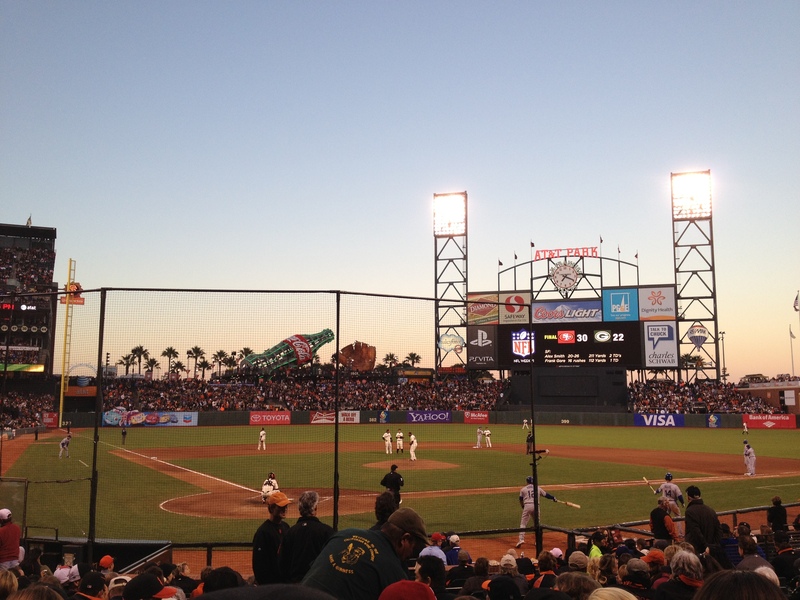 Giants vs. Dodgers at the AT&T Park in San Francisco. Baseball is pretty new to me, I was usually making daisy chains rather than playing rounders. Close enough. Like the college football game, the atmosphere was completely relaxed. Even though the teams are big rivals, the worst we saw was a slight kerfuffle. Our seats were pretty amazing, I’m sure we must be on some TV highlight somewhere especially as cousin Katie narrowly avoided a baseball shaped bruise on her head.